Families trust public media to provide content that is safe, fun, free, and educational for their children. CPB supports children’s content that is innovative, reflects the diversity of its audience, and responds to the nation’s leading educational needs and priorities. 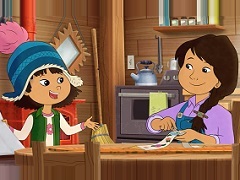 Molly of Denali, produced by WGBH Boston, is an action-adventure comedy that follows the adventures of feisty and resourceful 10-year-old Molly Mabray, an Alaska Native girl. It will premiere in summer 2019. 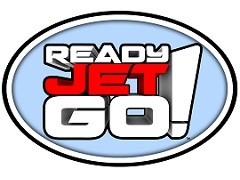 Ready Jet Go!, produced by Wind Dancer Films, is an animated series that helps children ages 3-8 learn astronomy and Earth science concepts. 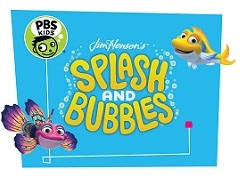 Splash and Bubbles, produced by The Jim Henson Company and Herschend Studios, uses digital puppetry to teach ocean science and biodiversity concepts to young learners ages 4-7. 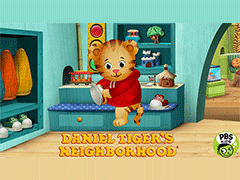 Daniel Tiger's Neighborhood, produced by The Fred Rogers Company, focuses on preschoolers’ social-emotional development, and is based in Fred Rogers' time-tested wisdom. Kart Kingdom is PBS KIDS’ online virtual world, featuring a collection of fun, learning games that help kids ages 6-9 develop systems thinking and collaboration skills. 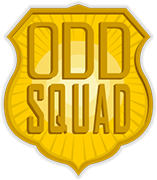 Odd Squad, produced by The Fred Rogers Company with Sinking Ship Entertainment, is a live action math series for children ages 5-8. Odd Squad also received funds through 2010-2015 Ready To Learn Cooperative Agreement with the U.S. Department of Education, CPB, and PBS. 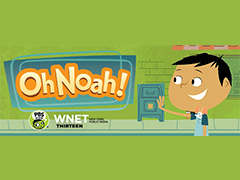 Oh Noah!, produced by WNET, is a digital project for children ages 4-8 that encourages cross-cultural understanding and second language acquisition. 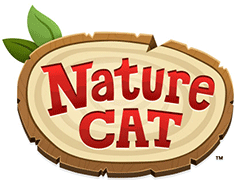 Nature Cat, produced by Spiffy Pictures with WTTW, is a PBS KIDS series that encourages children ages 3-8 to explore nature and develop lifelong connections with the natural world. 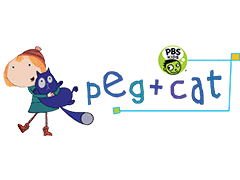 Peg + Cat, produced by The Fred Rogers Company, is a math series for preschool children. 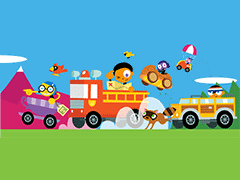 Peg + Cat also received funds through the 2010-2015 Ready To Learn Cooperative Agreement with the U.S. Department of Education, CPB, and PBS. 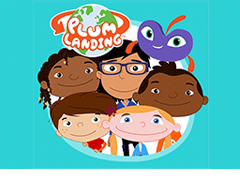 Plum Landing, produced by WGBH, teaches environmental science to children ages 6-9. Plum Landing includes videos, games, and real-life science investigations via mobile app. Ruff Ruffman: Humble Media Genius, produced by WGBH, is designed to help children ages 6-11 and their families learn about safe and positive technology use. 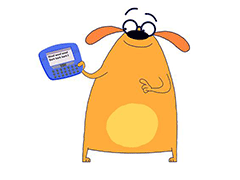 The pilot is based on original characters from popular PBS KIDS series "Fetch! with Ruff Ruffman." Super Why!, produced by Out of the Blue Enterprises, teaches early reading skills to preschoolers. 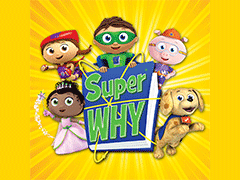 Since 2007, Super Why engaged millions of children on-air and online, and through public television station-sponsored Super Why Reading Camps. Super Why! also received funds through CPB’s 2005-2010 Ready To Learn Cooperative Agreement with the U.S. Department of Education and PBS. 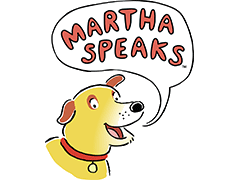 Martha Speaks, produced by WGBH, focuses on building children’s vocabulary. Martha Speaks also received funds through CPB’s 2005-2010 Ready To Learn Cooperative Agreement with the U.S. Department of Education and PBS. 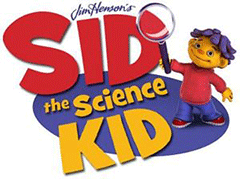 Sid the Science Kid, produced by The Jim Henson Company, uses comedy and music to promote exploration, discovery and science readiness among preschoolers.